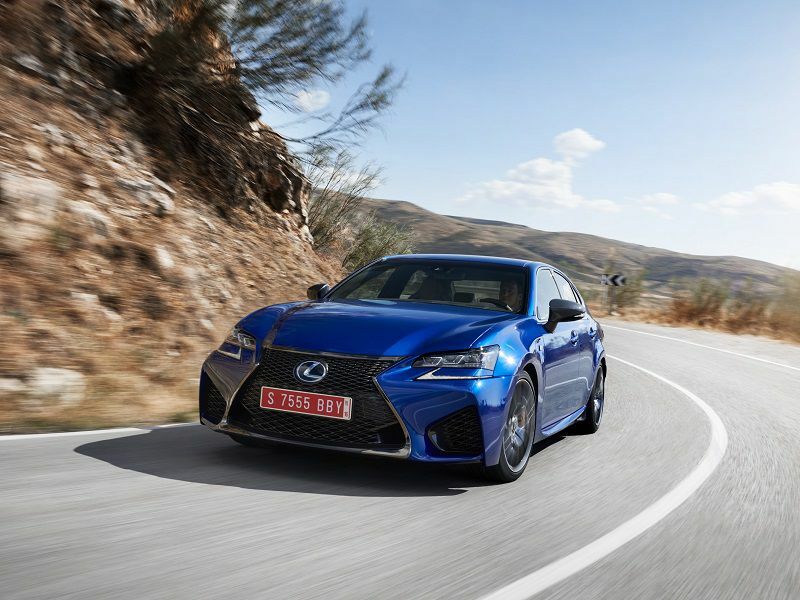 Today we’re looking at some great Lexus sedans with all-wheel drive, but don’t worry, all of the cars also provide the other benefits you expect from this luxury automotive brand - and some that may surprise you. 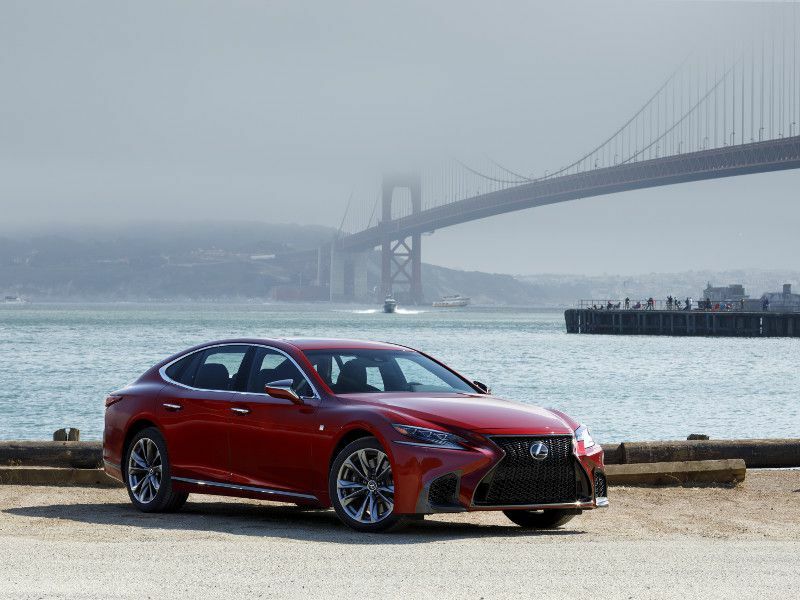 Of course, it all begins with high levels of luxury and technology, and the current lineup of all-wheel drive Lexus sedans has plenty of that. 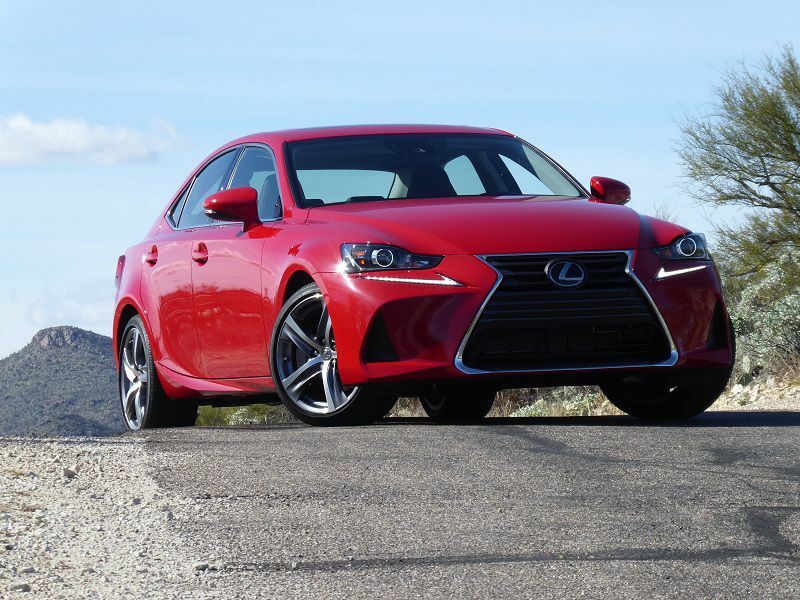 These vehicles carry a long track record of reliability, too: Lexus was ranked No. 1 in the 2019 J.D. Power Vehicle Dependability Study, marking eight straight years at the top of the industry. And naturally, Lexus continues to cater to green customers with an all-wheel drive hybrid sedan. Yet what you might not expect is the striking new design language you’ll see in the latest Lexus models. There are some impressive performers in the family as well. Read on to learn more about the Lexus sedans that offer all-wheel drive. The IS family leads off our gallery of Lexus sedans with all-wheel drive. 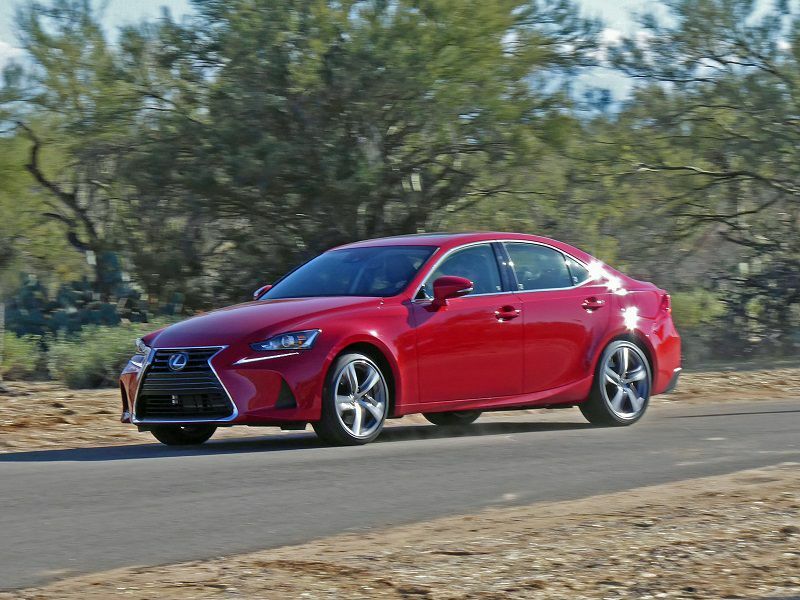 For the 2019 Lexus IS, two different trim levels qualify. The IS 300 AWD packs a 3.5-liter V6 that’s good for 260 hp and 236 lb-ft of torque. With that engine, the car can dash from 0 to 60 in just 6.1 seconds. The IS 350 AWD increases output to 311 hp and 280 lb-ft of torque, and this decreases the car’s 0 to 60 time to 5.7 seconds. In both cases, you can complement that performance with an extensive list of Lexus luxuries. 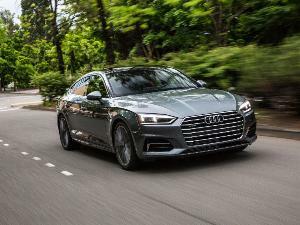 Among the highlights are heated and ventilated front seats, a 10.3-inch high-resolution infotainment display, access to Amazon’s Alexa virtual assistant, and a Mark Levinson surround-sound audio system with 15 speakers and 835 watts of power. For enthusiasts, great Lexus sedans with all-wheel drive also include the brand’s F Sport models. These boast enhanced performance and unique content that sets them apart from the rest of the roster. 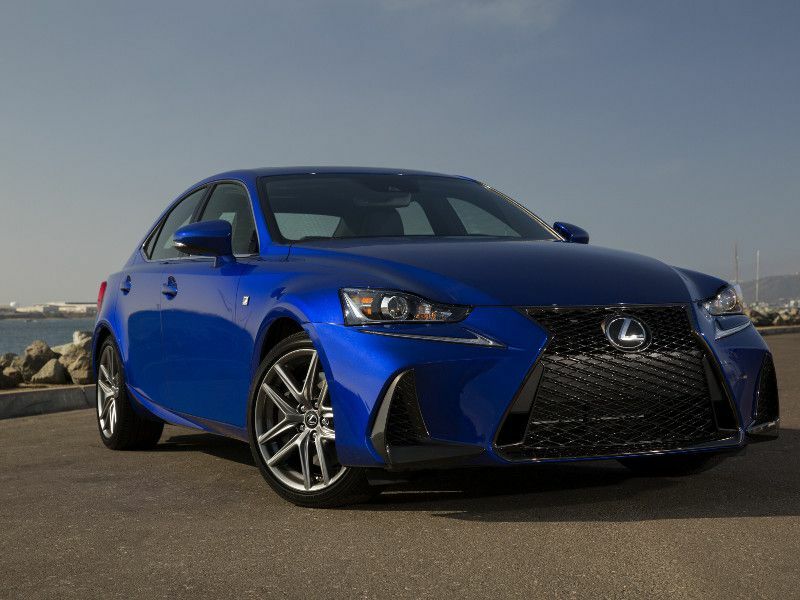 Now, the 2019 Lexus IS 300 F Sport AWD and IS 350 F Sport AWD actually have the same powertrains as their “regular” counterparts. The differences start with track-tuned suspensions and dedicated Sport modes for the F Sport multimode drive systems. These adjust the cars’ steering response, shift points, and throttle mapping for optimum driving enjoyment. The F Sport models also have their own exclusive 18-inch split-spoke aluminum-alloy wheels. Inside, racing-style seats are standard with extra support for extreme driving conditions. The IS 350 F Sport adds an adaptive variable suspension and a Sport+ driving mode that fine-tunes the suspension for sharper handling. If you’re shopping for a Lexus sedan with all-wheel drive and a little more room, you can check out the GS portfolio. 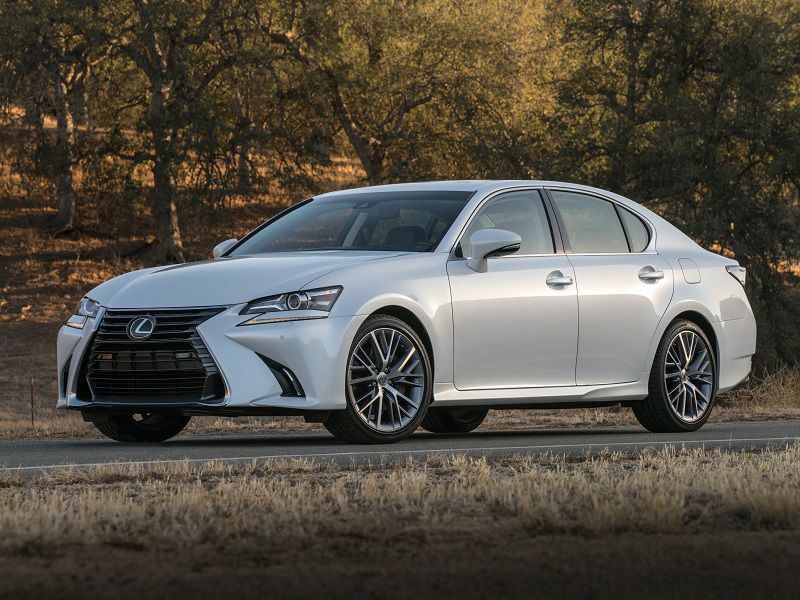 The 2019 Lexus GS 350 AWD is a midsize sport sedan with 4.6 more inches of rear-seat legroom than the compact Lexus IS. The GS also boasts a trunk capacity of 18.2 cubic feet, and that’s a whopping 70 percent extra. The GS 350 AWD shares some advantages with its IS counterpart, though, like a 311-hp 3.5-liter V6 engine. 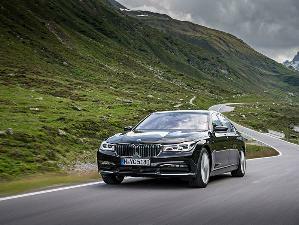 One more similarity is a standard safety package with adaptive cruise control, automatic forward emergency braking, automatic high beams, forward-collision warning, lane-departure alert, lane-keeping assistance, pedestrian detection, and a rearview camera. Further, while neither the IS nor the GS is available with Android Auto or Apple CarPlay, both are compatible Amazon’s Alexa. 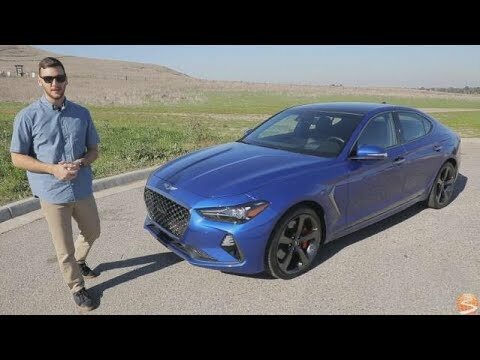 The 2019 Lexus GS F Sport is next on our list of great Lexus sedans with all-wheel drive. As a reminder, the F Sport treatment brings both performance and style upgrades, along with a few changes that impact driving excitement and design at the same time. For example, the F Sport front seats have prominent bolsters that hold you in place when pushing the car to its limits. But they also add an athletic vibe to the cabin at any speed. Additional performance boosters include a standard sport-tuned adaptive variable suspension, big 14-inch front brakes, and a special Sport+ setting for the multi-mode drive system. 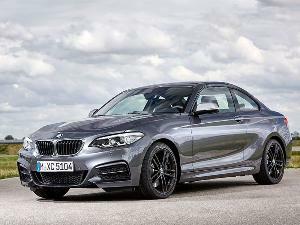 That electronically re-adjusts the car’s powertrain and suspension for maximum thrills. To be clear, however, only the GS 350 F Sport qualifies here by pairing all-wheel drive with Lexus’ 3.5-liter V6. 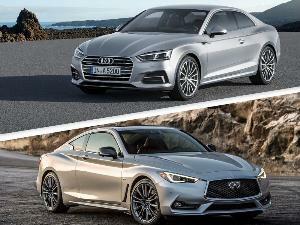 The brand’s flagship LS sedan is another offered with all-wheel drive. The LS 500 AWD, for instance, combines all-wheel drive with a sophisticated 3.5-liter V6. This engine delivers 416 hp and 442 lb-ft of torque, which is enough for a 0 to 60 sprint time of 4.6 seconds - faster than many sports cars. But the LS doesn’t merely out-run most rivals. It also offers more luxuries than much of the competition. Consider the car’s Executive Package for rear-seat passengers. When you order this setup, the back-seat area is transformed into a lavish environment with individual heated and ventilated recliner chairs, seven massage functions, hand-pleated trim, and exotic “Kiriko” glass accents. Hand-designed and laser cut, the glass goes through an intensive polishing regimen with the entire process overseen by master artisans. In the cabin, the LS 500 F Sport serves up 28-way power-adjustable seats to match superior performance with superior comfort. The 2019 model year also marks the debut of Apple CarPlay and Amazon Alexa compatibility for all LS models. The Lexus brand even can satisfy demand for sedans with both all-wheel drive and fuel-saving hybrid technology. 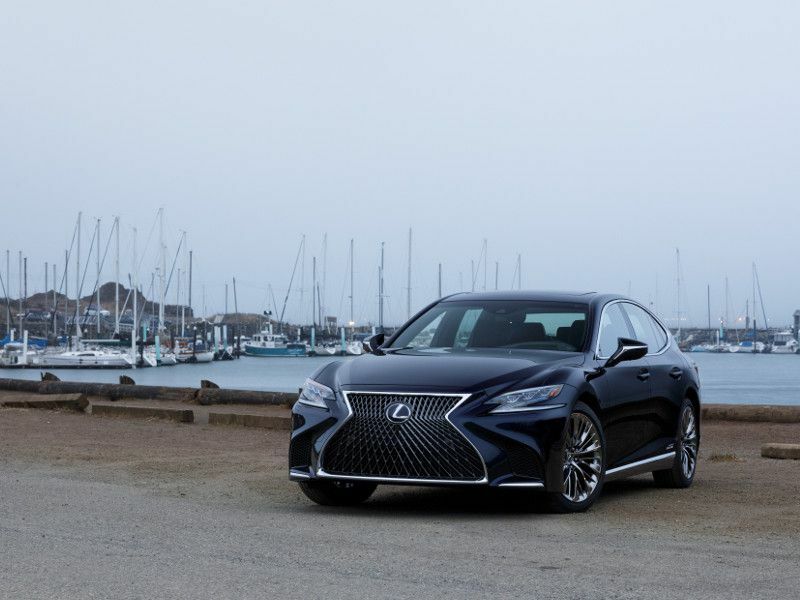 The 2019 Lexus LS 500h AWD fits the bill with a 3.5-liter V6 engine, a Lexus Multistage Hybrid Drive, and lithium-ion battery that keeps itself charged by leveraging the car’s standard regenerative braking system. As a result, the all-wheel drive LS hybrid earns EPA ratings of 23 mpg city/31 mpg highway/26 mpg combined. Those are advantages of 28 percent/15 percent/24 percent (respectively) compared to the non-hybrid version. 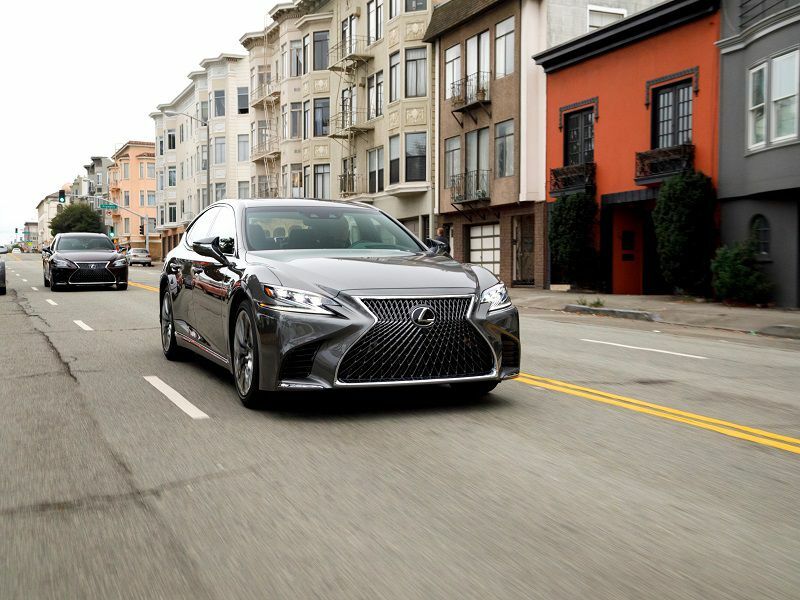 The LS 500h AWD also maintains its sport-sedan performance, with 354 hp and the ability to get from 0 to 60 mph in 5.2 seconds. Like all 2019 LS models, the hybrid can seal the deal with amazing technology like a 2,400-watt Mark Levinson audio system with 23 speakers.